Russia’s second outing. Hosted at the Sochi Autodrom, it’s a place with low tyre wear and degradation because of the smooth asphalt, and it’s accompanied by mild weather, medium-speed corners and many fans. Pirelli takes a step softer than last year, and takes the P Zero Soft and Supersoft tyres. 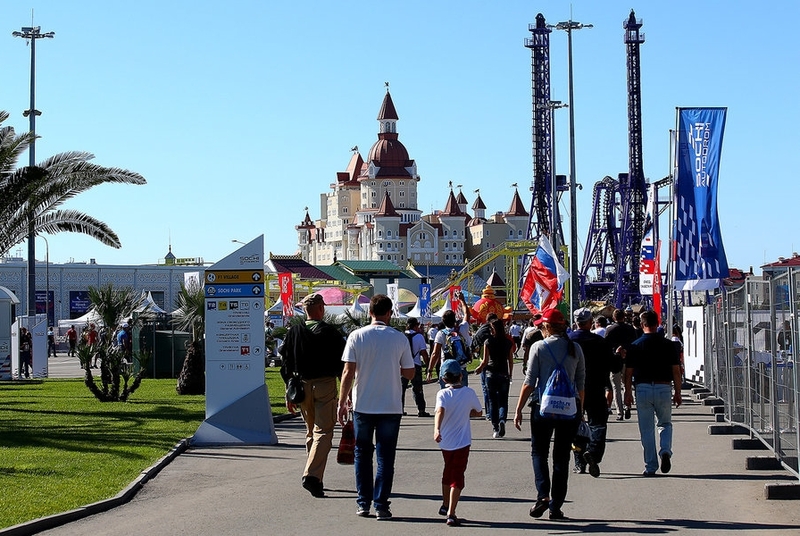 "We’re very pleased to be coming back to Russia for the second Russian Grand Prix: a market that is crucial not only to ourselves but also every automotive manufacturer. There were a number of question marks that we faced coming to the Sochi circuit for the first time last year — as is inevitably the case with any new circuit — but we have since been able to collect extra data that means we have more information for 2015." Lewis Hamilton won it for Mercedes, starting on the soft tyre and switching to the medium on lap 30. The most remarkable strategy was used by team-mate Nico Rosberg, who switched from soft to medium on the opening lap after a serious flat spot. He emerged 20th, but climbed on to finish second, completing more than 300 kilometres on one set of tyres and setting his personal best time on the penultimate lap. “I would describe it as a classic modern-style track. But what’s really important is that there is quite a lot of room for overtaking, which usually makes for good racing. It does have some quite interesting, quite unusual sections. There are some challenging braking areas, in Turn 13 for example. Also Turn 4 is quite tough. I would characterise it as a very technical circuit. It probably doesn’t really have a standout, balls-out corner, it really does make you think a lot and it takes some time to work out the best way round it. "Having said that, it’s my home race and I enjoy it a lot. The atmosphere last year was fantastic, there were so many fans giving me support. It really feels awesome to be there." The last year’s winner: 2014 - Lewis Hamilton (Mercedes), 1:31:50.744.